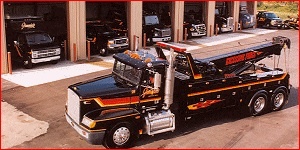 MORE THAN A TOWING COMPANY! Jimmie's Towing Jackson has been responding to complex challenges on behalf of our customers for over 50 years. When your company has equipment to set, or when you have awkward, heavy or valuable material to move, call us first for a fast, fair estimate. You'll be glad you made the call to Jimmie's! 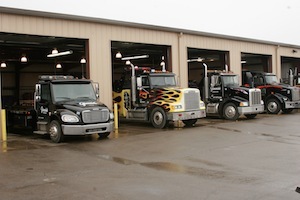 Jimmie's Wrecker Service Jackson fields a team of recovery experts who undergo continual training to stay on top of our industry's ever-expanding skill sets. When a problem occurs, we respond with the knowledge to handle the situation quickly and efficiently. 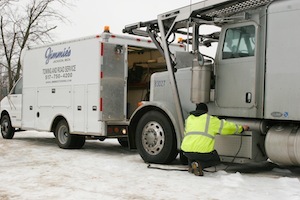 to Jimmie's Towing is one of the first towing companies in Michigan to use air cushions in order to recover an overturned trailer. WE'LL BE THERE WHEN YOU CALL! Reliability is the reason for our growth over the years. Our customers know that when they call, a friendly, knowledgeable dispatcher sends the right truck in response. In today's fast-paced economy, time is critical to your bottom line, and we not only understand this, we live it daily. And remember, we are on the job 365 days - 24 hours. Just give Jimmie's a call!